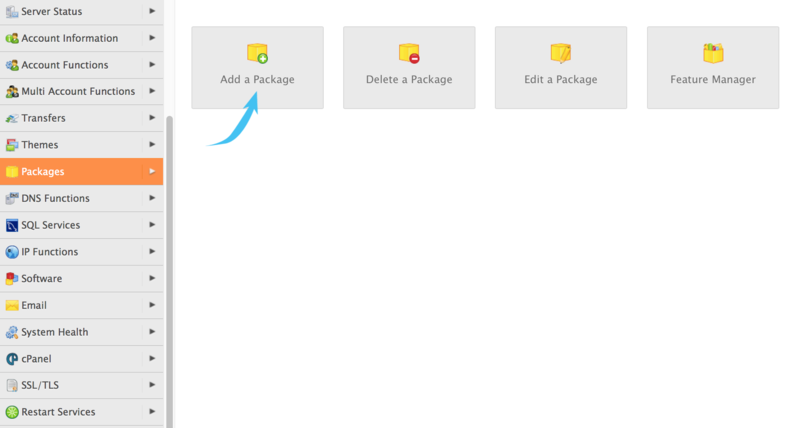 How do I create a new package in WHM? Begin to login to your WHM with your information you received in the mail. Once you are logged in to your VPS via WHM follow this guide, your package will be created in 5 minutes. Note that you can create different packages for all of your websites, but we recommend that you create one overall package that you can use for all your accounts and websites. 1. Click on the "Packages" and "Add a Package"
2. In this step now, fill in what you want your package specifications should be, we have chosen general that you can copy if you are unsure. 3. 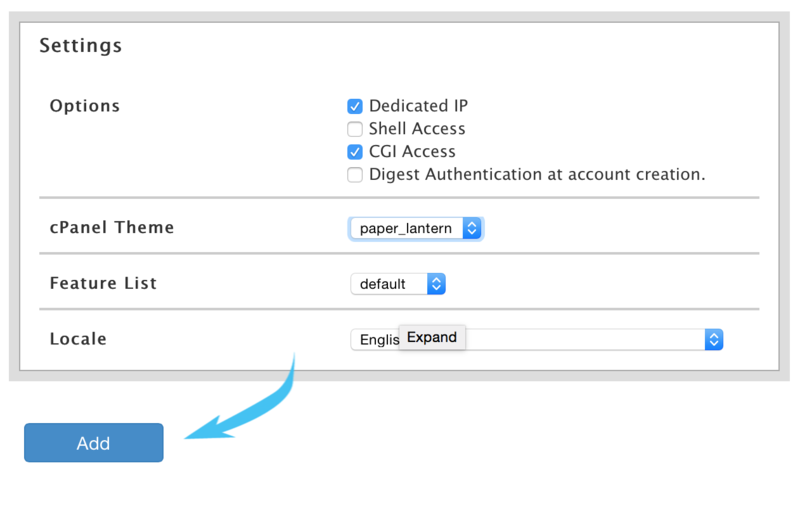 Under "Settings", fill in the following election, we recommend that you use "paper_lantern" as the theme, but you can of course choose something else if you want. Once you have done all this, click on "Add" and your new package is ready.